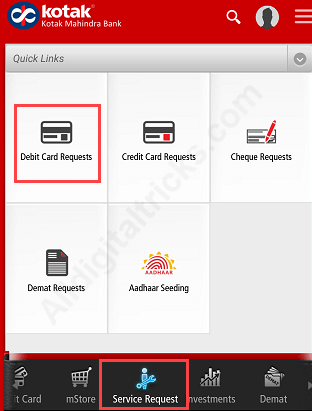 Want to change Kotak Mahindra Bank Debit Card PIN online? Today we will tell you 3 easy and fast online methods so you can change your ATM Debit card pin instantly. For ATM Debit card security it is good idea to change your pin regularly. You can also use online pin change facility if you forgot your current pin. 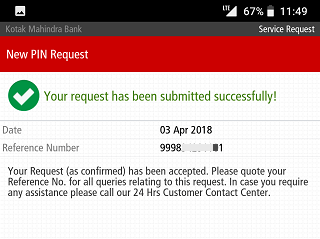 Kotak Mahindra Bank providing best net banking and mobile banking facility to customers so you can manage your account online and no need to visit bank for small banking related works. Before you start, make sure your card is active. If it is blocked temporary then first unblock it. Kotak Mobile banking one of the best way to manage your account on smartphone. You can transfer money, manage debit card, check balance & statement, open fixed deposit and more. 1: Login to Mobile Banking application. 3: Next screen tap on Regenerate Pin. 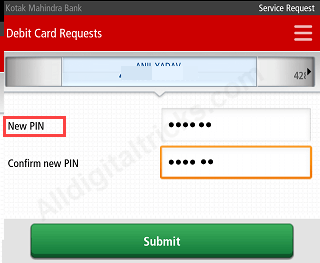 4: Now select your card and set new 6-digit Pin, again confirm it and submit your request. That’s it your Debit card Pin changes successfully. Kotak Mahindra net banking is another way to manage your bank account online. You can activate net banking facility online using debit card details, no need to visit bank. 2: After login, click on Debit card tab. You can see your card here, click on Regenerate PIN. 3: Next screen, enter your new pin, again enter your pin to confirm and submit your request. If you don’t have Mobile Banking or net banking facility then not to worry. 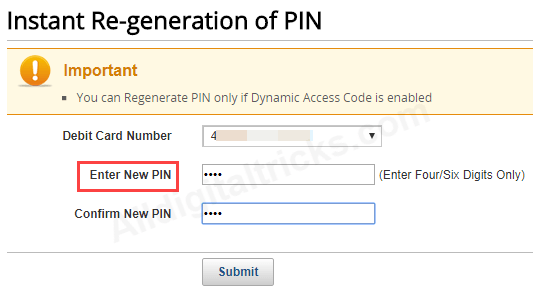 Still you can change your kotak Debit card pin online through instant pin generation facility. 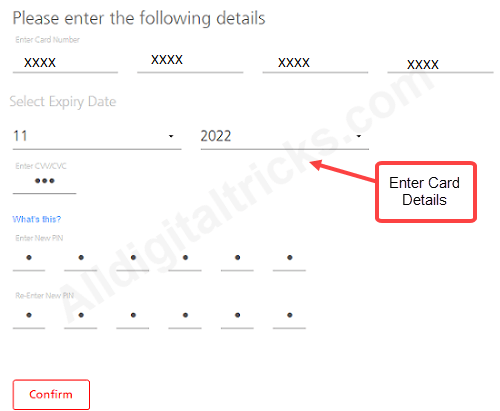 3: Now enter your Card details, card number, expiry date and CVV. Set your 6-digit pin number and click on confirm. 4: In last step you will receive One Time Password (OTP) on your registered mobile number. Enter OTP and submit. Your Debit card pin changed successfully. 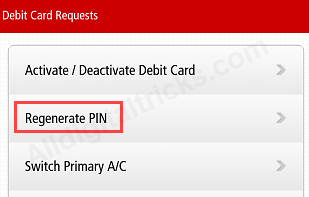 So by following these 3 methods Kotak Bank customers can change ATM Debit card PIN online instantly. You don’t need to visit bank for physical pin.